A unique meeting destination that is set in a stunning location with breath-taking ocean views, the Royal Cliff Hotels Group along with Pattaya Exhibition And Convention Hall (PEACH) is one of Asia’s premier resort – convention destinations that provide complete versatility as a convenient ‘one-stop convention solution’ for any meeting needs. 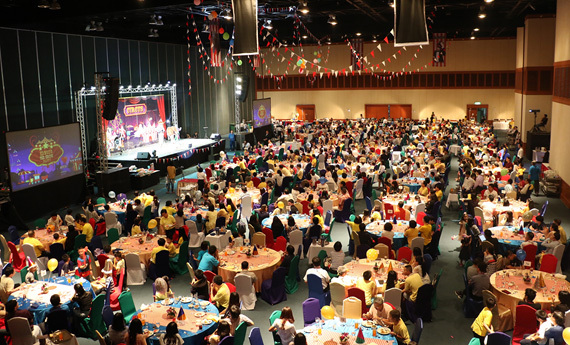 With over 13,000 sq.m of available meeting space, it offers modern facilities, professional services, and technological support to successfully host a wide variety of engagements such as international conferences, exhibitions, product launches and banquets. Want to hold your next event at the Royal Cliff and PEACH? Request for a proposal by contacting our Sales Managers at (+66) 38 250 421 Ext: 2845 or email: success@royalcliff.com. Let us make your event extraordinary! 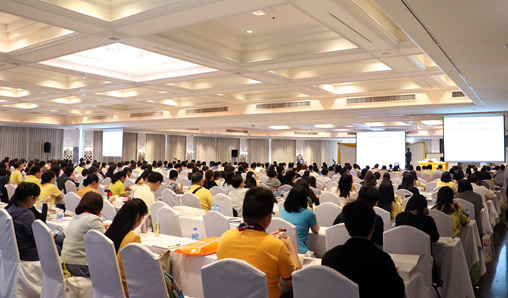 Photo Caption: Doctors and medical academics gathered at the Royal Cliff Hotels Group for the 44th Annual Meeting of the Infectious Disease Association of Thailand (IDAT). 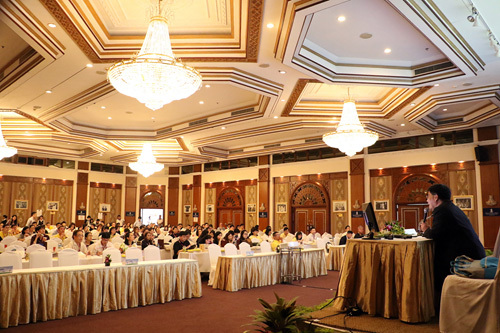 Photo Caption: Dr. Teerapong Tantawichien, President of the Infectious Disease Association of Thailand (IDAT) speaks during the 44th Annual Meeting of the association recently held at the Royal Cliff Hotels Group.